“Is it possible for you to send by regular post to Turkey muslim friendly city guides and other related booklets for muslims planning to travel to Japan please?” These were the words we got from one of our Muslim visitior from Turkey who wanted us to send info about Halal friendly Japanese cities to our visitors. Upon receiving that message, we have seriously started making efforts to bring you the best and the latest Halal friendly info the Japanese cities have to offer you. 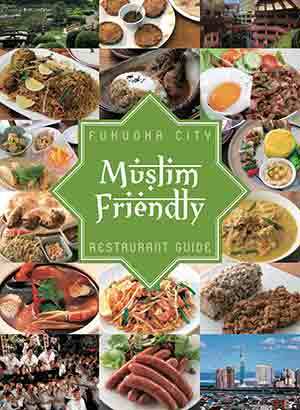 To help you get the latest info Japan has to offer you in terms of its Halal-readiness of its amazing cities, Alhamdulillah, we have decided to start sending you a weekly Halal-Friendly guide about its various cities and other places of attraction. Please subscribe to our newsletter given on the right side of the website so that we can start sending you information about halal friendly cities and other places in Japan. You may also subscribe to our newsletter by sending a simple email message on this link so that we can add you as a subscriber to our newsletter. Inshallah, we promise you one thing. You will　get only the most authentic info about Halal in Japan which is so hard to obtain, keeping in view the lack of halal friendliness among most of the restaurants and hotels in the country. Just give us a chance and Inshallah, you will not be disappointed. So, what are you waiting for? Just subscribe to our newsletter by sending us a simple email message, and we will take care of the rest. So, see you soon inside our special circle of friends who love Japan and love halal as well.